Yes, I am fully aware this post title does NOT have a good ring to it. I blame it on the fact that it's Friday. TGIF, ya'll. My husband and I have an on-going joke about greeting cards in general. They are just so... bad. Usually the joke is bad, the poem is bad or the picture are bad. I recently discovered cardstore.com and I love it because you can create your own card (with your own corny sentiments) and mail them directly from the site. The prices are pretty much the same as what you'd get at Target too. 2. I love this video about the key to a healthy diet. I may or may not be a crazy stickler about not eating out, and this made me feel a little bit justified. I do it more for the financial benefits, but eating in has some serious health benefits too. 3. I really love this Rustic Nautical Room Makeover. Not too theme-y and not too fancy. 4. Can we all just talk about how glad we are we're not in Sochi? 5. I'm not a big pink person, but every year around this time, I feel like busting it out. I really like Merrick's article: 10 Ways to Wear Red & Pink Together. Next week is about to get really theme-y. 6. Anyone other Harry Potter fans frustrated about this? I love Ron and Hermoine together and I agree with this article. Just let it be. 7. 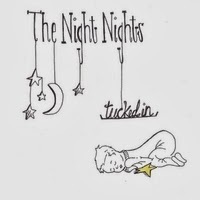 Night Nights Album My cool blogging friend Claire just recorded a lullaby album with her mom and sister. It is SO GOOD. I don't have kids, but I think I've been enjoying it as much as a kid would. You can buy it or just listen to it here. I really like the idea of CardStore.com. I've never heard of it but it sounds good because I always hate the cards in stores. Have a good weekend! I might have to try cardstore.com. It sounds like a great concept! And I definitely second your thoughts on #6. The books are published and movies are made. Stop messing with Ron and Hermione's happy ending (and our heads)! I love the Nautical Room Makeover. 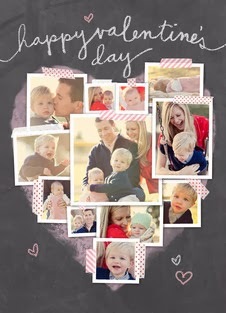 I like the idea of making my own card. Thanks for sharing about CardStore.com, I need to hurry and browse the shop tonight! Oh man, so glad I'm not in Sochi. I'm upset about the Ron/Hermione reveal too! Also, thank you for sharing that blogger story with the bedroom! I'm not able to access the link to the Ron/Hermione thing, but I always thought Harry and Hermione should have ended up together. I am mixed about the Sochi thing-- some things are bizarre, but some things just make Americans sound like they are entitled and deserve royal treatment. attack of the cute has a pretty good way of spreading cheer, though. I have total mixed feelings about #6, I really do. I would have loved to see Harry and Hermione together, but I wasn't unhappy with the way it turned out. Just let it lie I say! All those pictures from Sochi are quite funny really. I wouldn't want to be there. On the subject of Harry Potter romances, I'm just mad that Luna and Neville didn't get married. They were perfect for each other! Thanks for the tip about The Cardstore! I LOVE to send cards and have never heard of it. I'll have to try it out soon :) Oh and I'm thankful to be watching the Olympics from the comforts of my home this year! It's awesome that you're promoting the work of your blogger friends! Also, those Sochi pictures have me laughing and incredulous at the same time. What was Russia doing for 7 years prepping? I have a lullaby album that we got in the mail for some promotional thing for church when I was about 16, and I totally stole it (I made a copy anyway). It's my favorite comfort/sleepy-time music and even the hubby has come to like it. I'm not sure why I needed to admit that, but there it is.